A honeydew has a round to slightly oval shape, typically 15–22 cm (5.9–8.7 in) long. It generally ranges in weight from 1.8 to 3.6 kg (4.0 to 7.9 lb). The flesh is usually pale green in color, while the smooth peel ranges from greenish to yellow. 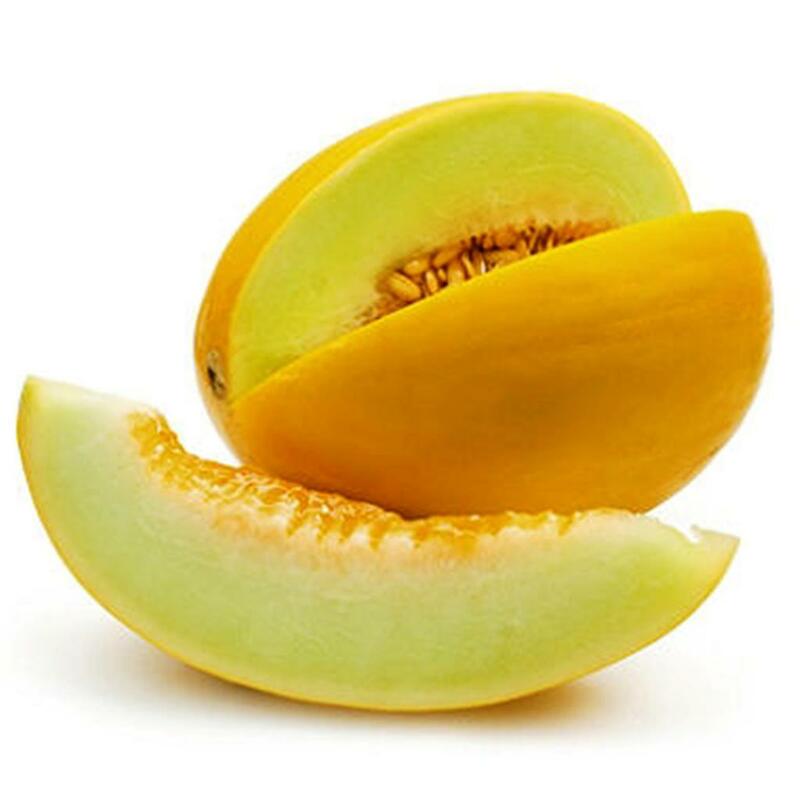 Like most fruit, honeydew has seeds. Honeydew's thick, juicy, sweet flesh is often eaten for dessert. This fruit grows best in semiarid climates and is harvested based on maturity, not size. Honeydew Melons are easy to grow if given the right conditions; they typically grow best under glass, but can be grown outdoors in warmer regions. They need higher temperatures than tomatoes (around 30°C/85°F) and high humidity (which helps discourage red spider mite, a pest), but will grow well with cucumbers which require similar conditions. Water retention: Especially in pregnant women. Muskmelon juice helps your body excrete excess sodium, thus reducing water retention. 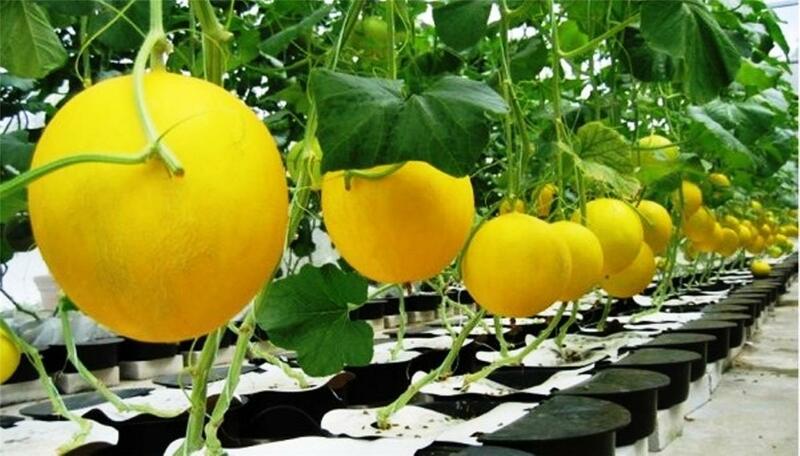 This listing is for 20 seeds of Golden Honeydew Melon Plant. The seeds were freshly harvested in last fall, and tested viable good for planting.